Do People Really Click On Paid Ads? You want relevant visitors to come to your website. You want the visitors to be at the right stage of their buying process and you want them to become your potential client. You ask yourself and maybe your colleagues, “does pay-per-click advertising work?” And then the problem begins…nobody ever admits that they click on ads. In fact some people will go to great lengths to explain to you how they avoid online ads. 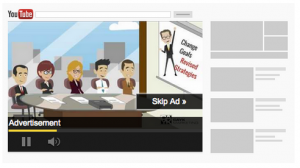 Google, the leader in online advertising, is one of the wealthiest companies in the World. The great majority of its annual income comes directly from selling advertising. Their market cap was listed at $383 billion dollars in May of 2014 (Reference). Google employs nearly 48,000 people. That simply would not happen if people didn’t click on ads. People do click on pay-per-click advertisements. There are several formats of paid advertising available to business owners. They all hold varying degrees of relevance. Google AdWords are highly relevant ads that are triggered by people searching on the Google Search Engine. 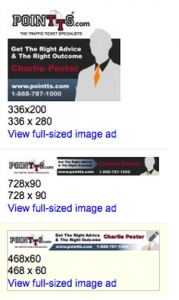 Google picks which ads to display similarly to how it chooses the organic search results. That means you can trust that your advertisement is only shown to individuals in your market who are looking for your product or service. A potential customer searches with a keyword phrase, sees an engaging and relevant ad, and clicks through to a well written and applicable landing page…it just works. The Google Display Network, or GDN, is made up of millions of websites. Display advertisements can be shown on these websites. They can be beautifully designed images, well-written text, animated images, and even videos! Your display advertisements are shown only on websites that are contextually relevant to your offering. Your campaign keywords, ads, ad ranking and other targeting are used to ensure your ads only show to people that ‘can relate’. In other words, your ads are contextually relevant. Try doing that with a bus bench or a billboard! You work hard to attract visitors to your website. They find you in organic search, they click on ads, you attract them through social networking. When the visitor comes to your website they get added to your remarketing list. Once they are on your remarketing list, we have the ability to show them your display advertising…almost everywhere they surf! Here is an example of a Google Remarketing Campaign that has received 1.5 million impressions and 24,019 return visitors to the website. It seems like just yesterday that we would ask client, “Have you heard about Twitter yet?” Those days passed pretty darned fast. Now all of the major social networks give us the ability to target you display advertising campaign. Targeting social network users based on past behaviour, likes, interest etc. is a great way to get your brand in front of potential clients. Facebook, Twitter, Linkedin, Youtube, and pretty much every social media site out there has some facility to boost pages, boost posts, run contests, and engage their users. Have you ever watched a video on YouTube? Sorry, skip that question. Of course you have. The fact is that YouTube (owned by Google) is the second most frequented search engine on the internet. You know when you go to watch a video and that pesky pre-roll video runs and you are forced to watch it for at least 5 seconds. And then you forget why you were there in the first place and you end up watching the entire video pre-roll…darn it! That pre-roll video is an advertisement called an InStream video. InStream videos are highly effective because they only run when the context is relevant.